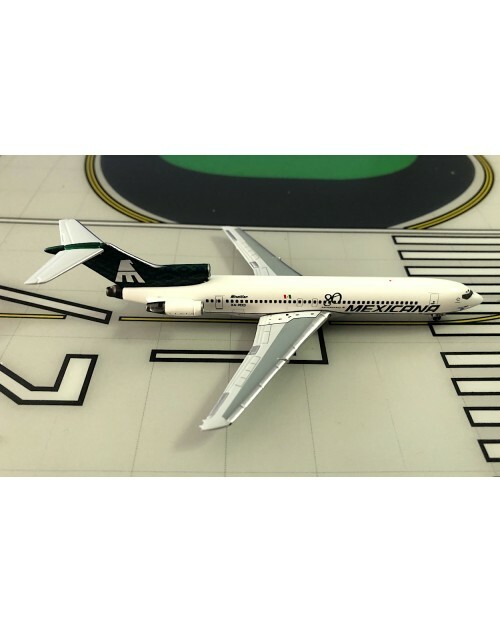 1/400 scale diecast Aeroclassics Mexicana Boeing 727-264A with 1990s color scheme, green tail and "80th Aniversario titles. 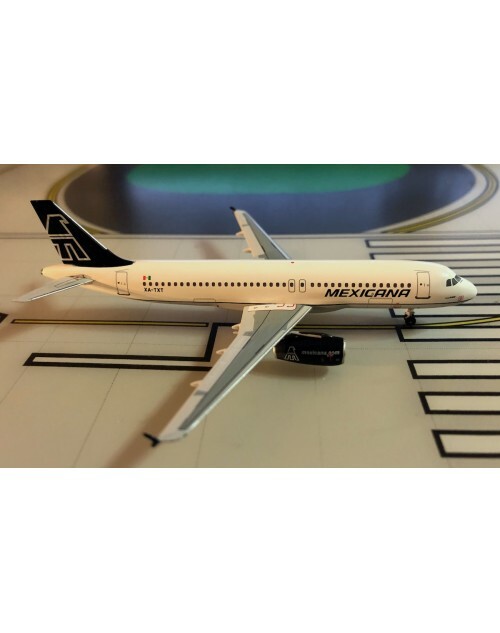 Registration: XA-MXD "Minatitlan", msn: 22664, line no: 1780. 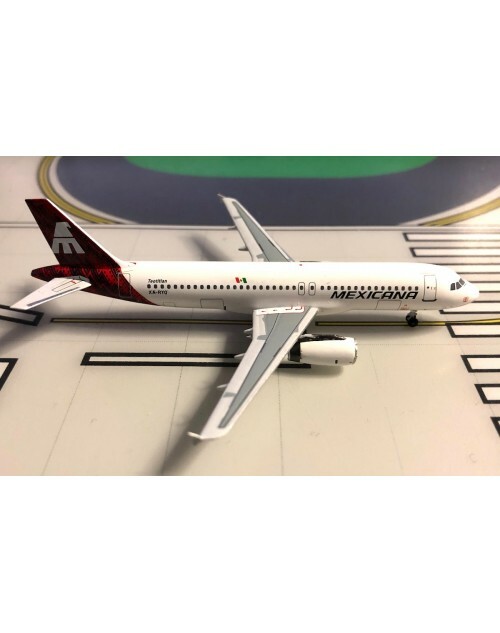 Item # AC419374. Released in February 2019. Dimensions: Length: 4 5/8 inches (11.8 cm), wing span 3 1/4 inches (8.3 cm).